Let’s face it, Jersey has a bad rap. Many people think of Newark, industrial plants, pollution. It’s the “drive-through” state. An ongoing joke for people who live in New Jersey is “what exit?” While many haven’t listed New Jersey as their top vacation destination, knowing it’s worth the trip may inspire you to change your plans. Please don’t let Hurricane Sandy deter you from putting us on your list of the go-to-must-see places on your map. I grew up with beautiful beaches where you can, surf, swim, sunbathe, or play volleyball in the summer; run, stroll, walk your dog, or fly kites in the off season — the Jersey Shore makes for an ideal destination. New Jersey is the location of most of the boardwalks in the United States, and a good-old fashioned stroll on the boardwalk has been one of my favorite pastimes. Because the Shore offers so many historic and beautiful sights, I take my camera everywhere to explore through my lens what the eye may miss, capturing one moment in time, one snap at a time. I am particularly grateful to have captured such wonderful moments of truth prior to the wrath of Hurricane Sandy. 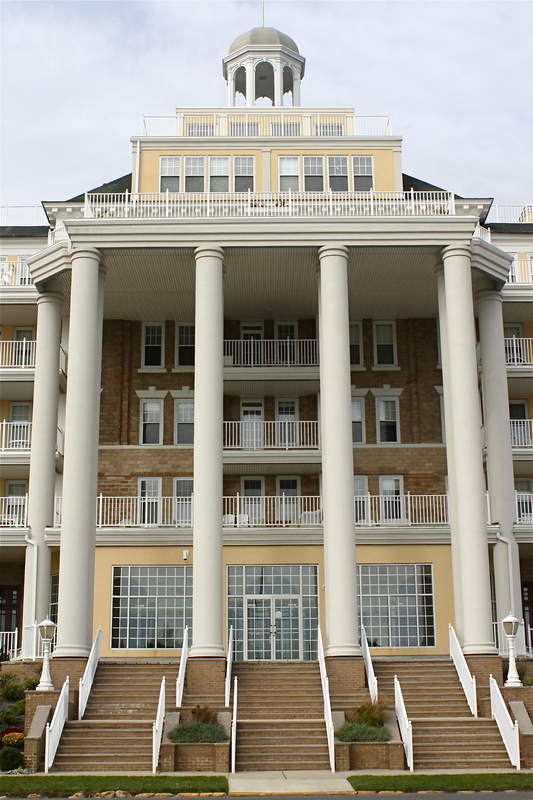 This beautiful Beaux Arts design is connected with the Asbury Park Convention Hall on the boardwalk along the Atlantic Ocean. The Paramount opened in grand fashion on July 11, 1930 with a show starring the Marx Brothers and Ginger Rogers. World famous entertainers have since followed, including Frank Sinatra, Elton John, The Supremes, Paul Anka, Rolling Stones, Temptations, Glenn Miller, Duke Ellington, Bruce Springsteen, Stevie Wonder, The Platters, Bon Jovi and many more. It also stands proud in that magical “Gilded Age” style. I never tire of seeing this beautiful work of art. Built between 1928 and 1930, this wonderful building was designed by architects Warren and Wetmore, who also designed New York City’s Grand Central Terminal. Boutique stores and restaurants now occupy the space. What I love when entering the Grand Arcade are the beautiful strings of white lights that illuminate the inside of a once beaten, and still under revitalization, building. It keeps one present-minded of a time that was rich in musical history — the hall was the setting for one of the last concerts played by the original Lynyrd Skynyrd lineup in 1977. 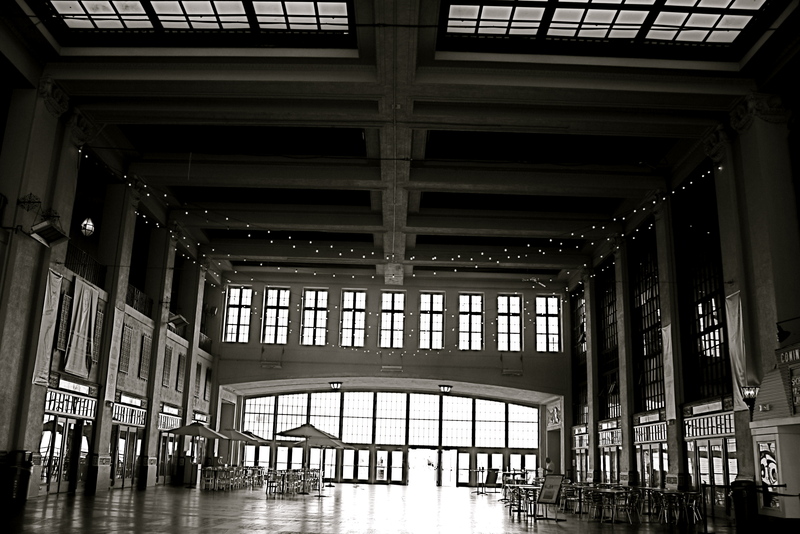 In the late 1990’s, Convention Hall gained a strong association with Bruce Springsteen. He held (and holds) rehearsals for upcoming tours there. The large lighted sign on the top of Convention Hall now reads “Greetings from Asbury Park,” in reference to Springsteen’s 1973 debut album, Greetings from Asbury Park, N.J. Yes, I’m a Jersey Girl, and nothing says Jersey to me more than Bruce Springsteen. Located in Asbury Park, The Stone Pony landmark is known as a starting point for many musicians: Southside Johnny and the Asbury Jukes, Bruce Springsteen, Patti Scialfa, Jon Bon Jovi, and musician Steve Van Zandt. Many noted musicians still play The Stone Pony and you can catch Springsteen off-tour hanging out in Asbury Park. Interestingly, Jersey natives respectively give Springsteen his space, admiring from afar. A must-see for music lovers. Many of my favorite childhood memories were summers on the Shore, and arcades on the boardwalk where I’d pitch a coin and play pinball. 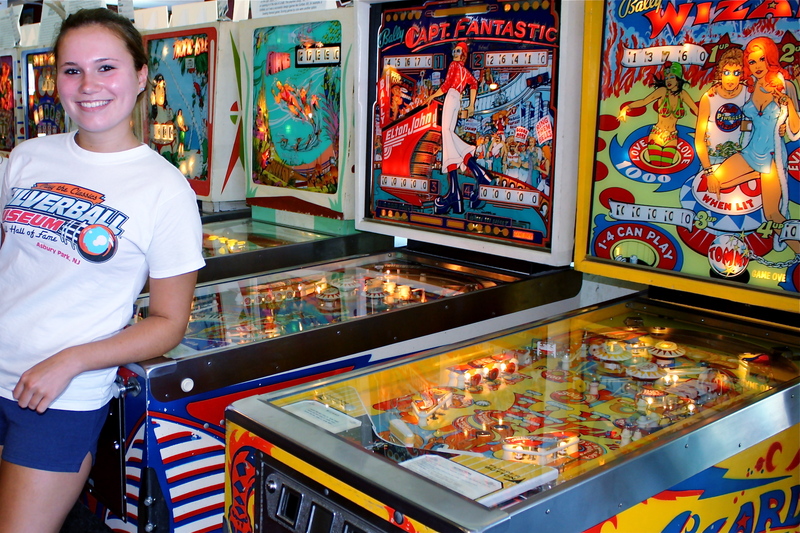 It’s perhaps one of the first truly “interactive games” created, and hard to come up with anything more “Americana.” It’s an important era in American history and the museum keeps it alive with more than 200 classic hands-on pinball machines dating back from the 1930’s. A must-see-must-play for the nostalgic kids at heart! 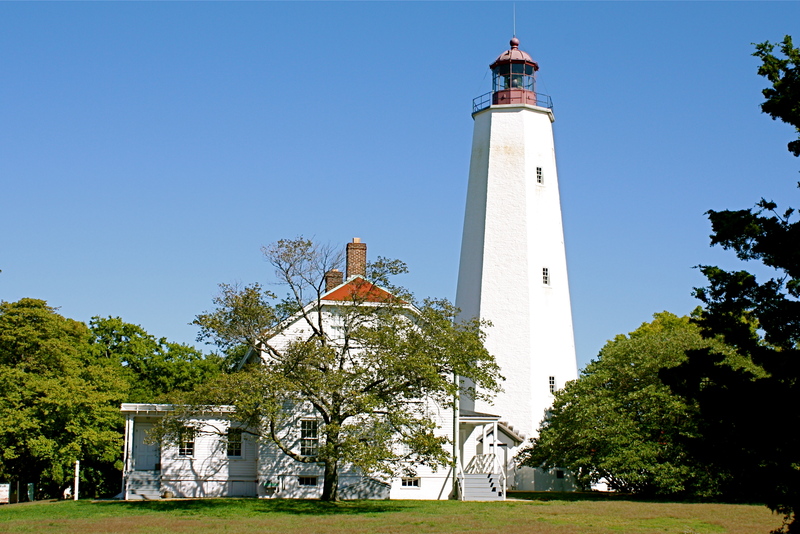 Built in 1764, this tall, white lighthouse at Sandy Hook is the oldest standing light tower in the United States. Walking the spiral staircase to the top is an experience! You can’t help but think of the original caretakers as your hand holds tight to the rail, or slides along bricks curving ’round as you move upward. Piering outside the tunnel windows as you make your way up provides a flash of history… and you may feel someone unseen is there with you. The Great Auditorium in Ocean Grove is an architectural treasure. 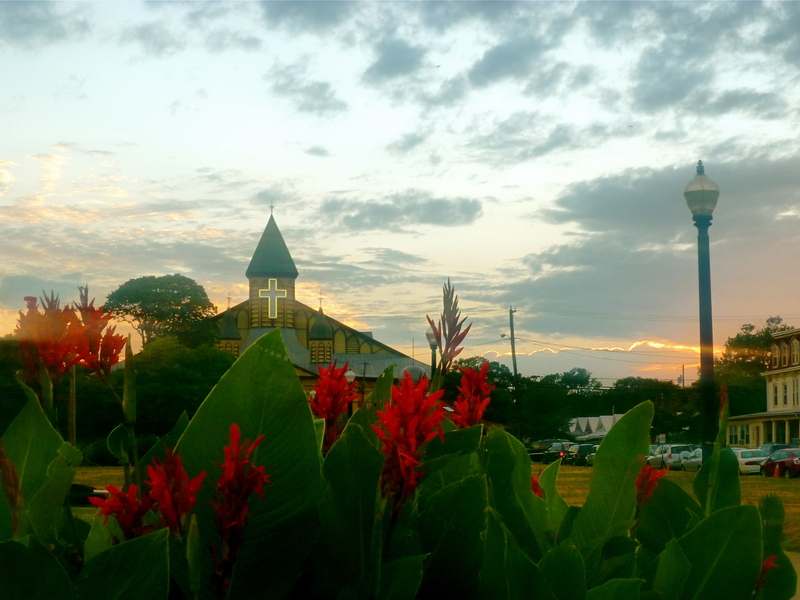 This distinctive historic structure was established during the national Camp Meeting movement of the late 1800’s. It occupies nearly an acre and is situated 1500 feet from the Atlantic Ocean. 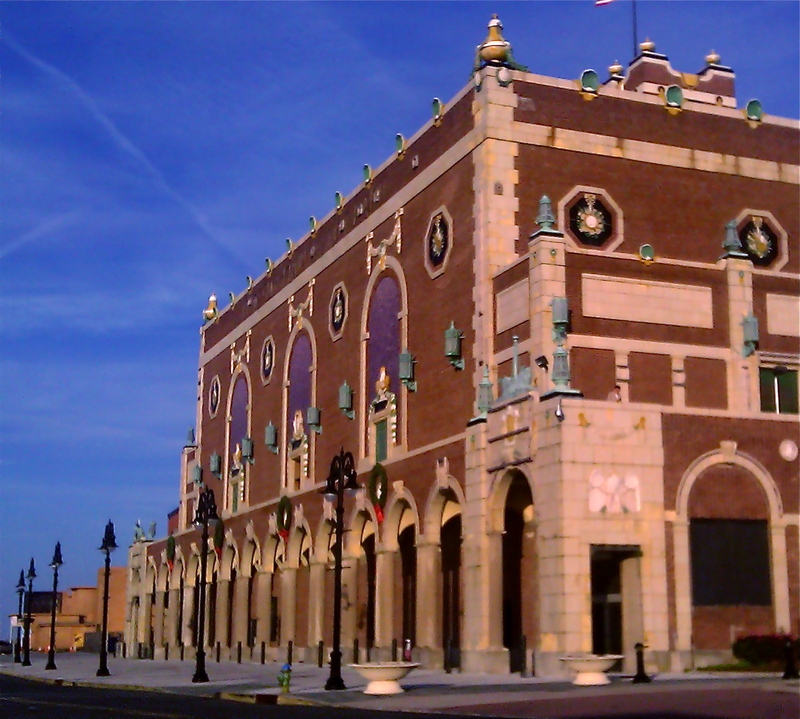 The Great Auditorium has been the center of activity since 1894 and is considered to be the most impressive and largest enclosed auditorium in New Jersey. It houses the Hope Jones organ, the 3rd largest organ in the northeast. The building features numerous “barn door” entrances with colored glass, dormers, and panels that open for ventilation. The Auditorium’s pipe organ is one of the 25 largest in the world. Singers Tony Bennett, Mel Tormé, and Ray Charles have performed there. I had the opportunity to see Amy Grant perform there last year; she was amazing. It’s hard not to fall in love with these enchanting tents. 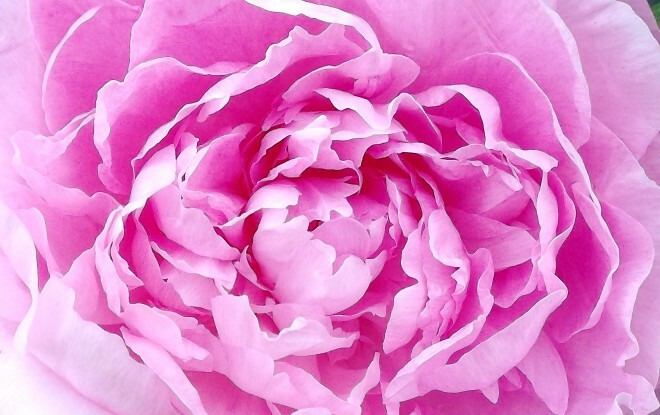 They immediately inspire a feeling of warmth and appreciation for old-time simplicity. For over 100 years, families have been spending summers in these tiny structures. In the summer of 1869, the first tents were pitched. 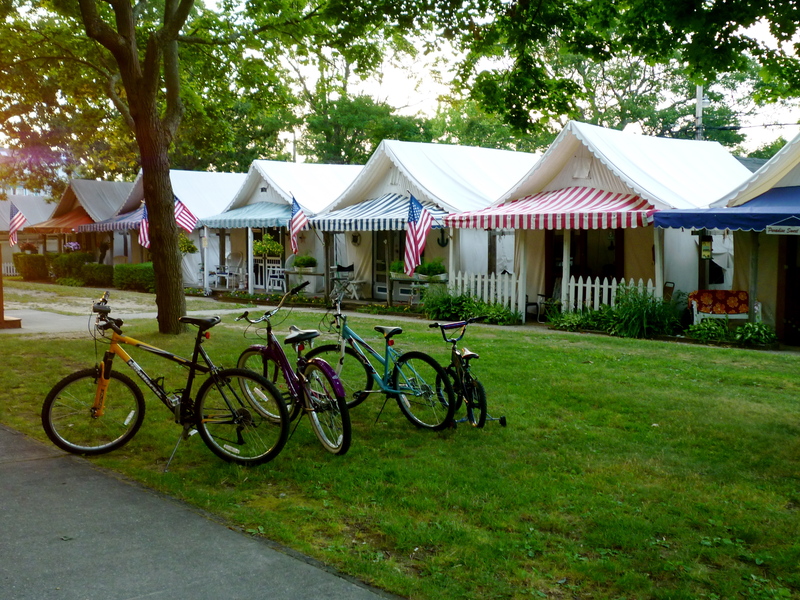 Many of the tent leaseholds are still in the hands of descendants of the original families. Surrounding the building is another historical reminder: 114 tents, which are occupied from May to September, just as they have been since 1869. 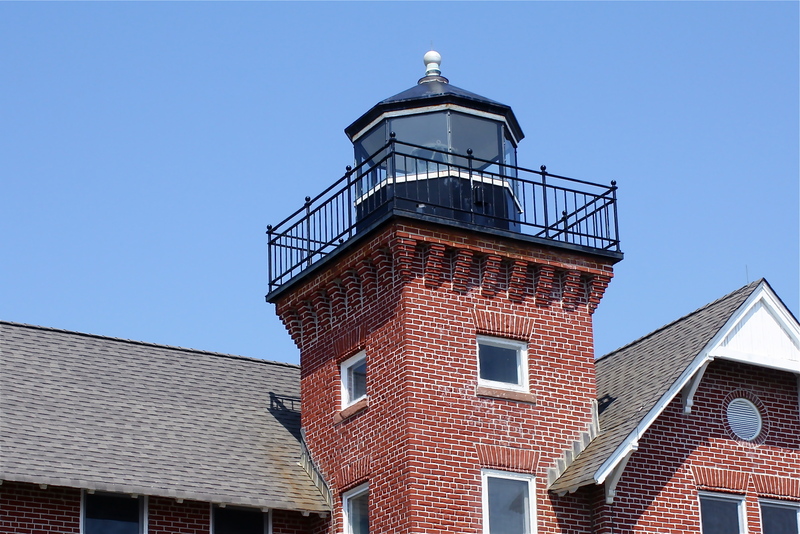 Sea Girt Lighthouse is the last live-in lighthouse built on the Atlantic Coast. A live-in lighthouse has the tower attached to the home. Sea Girt Lighthouse was the first lighthouse in America to transmit radio signals to enable sailors to navigate fog. Fort Hancock served as an active military installation from 1874 until 1975 at Sandy Hook. A primary mission of the fort was the defense of New York Harbor. The National Park Service took over most of the 1,665-acre peninsula in 1975, after the U.S. Army deactivated the base. A part of Gateway National Recreation Area, Sandy Hook was added to the National Park System in 1972. The park has extensive hiking trails, bike paths, salt marshes, a spectacular holly forest and more than 300 species of birds! It’s a perfect place for photographers to snap stunning shots of osprey and piping plovers that nest in the salt marshes. Used since 1828, the Twin Lights is situated 200 feet above sea level in Highlands. The two lighthouses are separated by 320 feet. 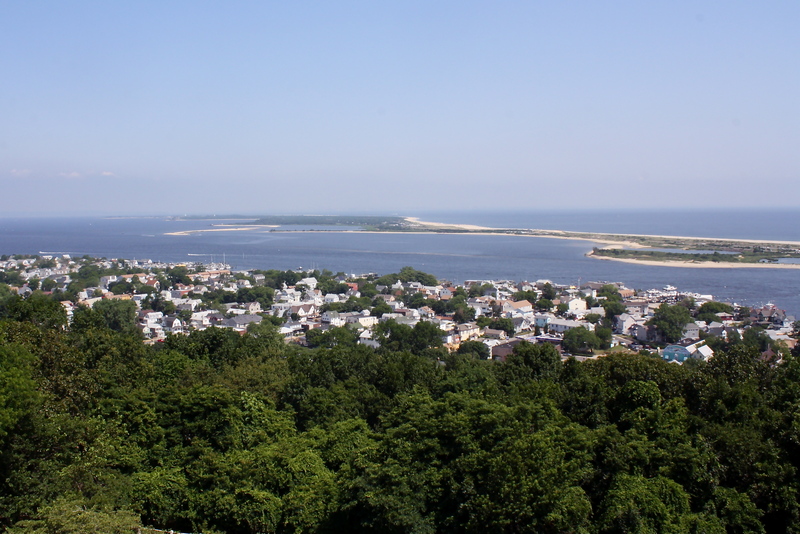 The lights overlook the Shrewsbury River, Sandy Hook, Raritan Bay, New York skyline and the Atlantic Ocean. In 1898, a 25 million candlepower Second Order Bivalve Rotating Fresnel Lens was installed in the South Tower. Did you know the first public reciting of the Pledge of Allegiance was first given as the official national oath of loyalty at the Twin Lights? Worth the visit for historic and for stunning panoramic views. It is the last of the grand hotel buildings, elegant despite its enormity — “Gilded Age” of the late 19th and early 20th centuries. Back in the day, it starred in the movie “Ragtime,” the backdrop for 1900’s high society. It’s hard to drive by without wondering who strolled up those regal stairs into the grand lobby; the elegant dress she wore, the dapper suits he wore… romances of the time. 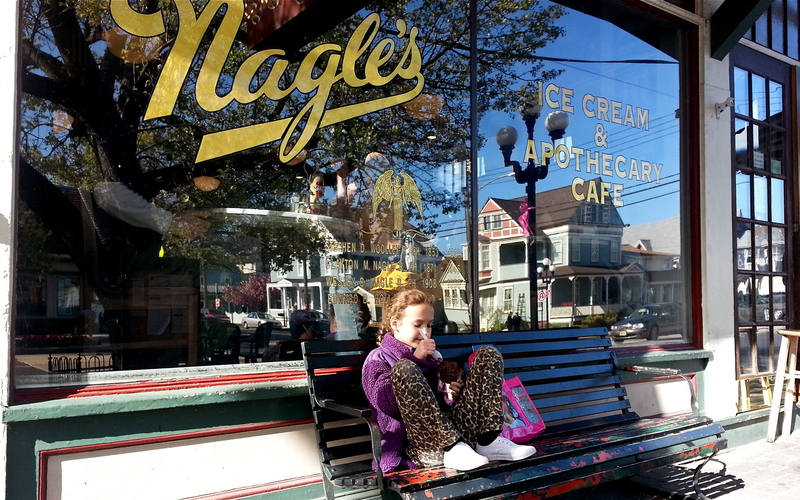 An authentic old apothecary, Nagles’s is a true throwback to the past. The café opened in 1901 as a pharmacy/ice cream parlor. The moment you walk inside, you’ll feel its historic importance and notice the original mahogany pharmacy cases filled with old apothecary bottles, dated handwritten ledger, and antique typewriter. The stools lined up along a long counter make you want to hop up on a seat, take a spin, and call for an ice cream sunday. Specialties are Nagel’s egg cream ($1.50), cherry lime rickey ($1.50), malts ($3.75) and hand-drawn cherry Cokes ($1.75). Are you one of the many who have always put New Jersey last on your list to visit? If you’ve ever visited, are you coveting one of our gems? Yes, admittedly, Jersey has a bad wrap. I was the first to want to leave this state for exactly the same reasons people hesitate to visit. However, now that I’ve returned and explored the many special gems the coast has to offer, I treasure each one. Even after the wrath of Hurricane Sandy, what remains a constant… I never tire of the smell of the ocean, the gauk of seagulls and rhythmic turns of the tides. And of course, taking a quiet moment simply sitting on the sand watching a stunning orange sun emerge on the horizon, casting light illuminating the water and making its surface sparkle like diamonds. This entry was posted in Architecture, Landscapes, Life and tagged Historic, Hurricane Sandy, Jersey Shore, travel. Bookmark the permalink.